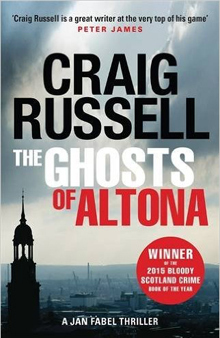 This year, Craig Russell took home Bloody Scotland’s accolade for Crime Novel of the Year, with his thrilling novel The Ghosts of Altona, the latest in his Jan Fabel series. 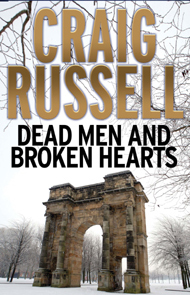 The author of two other series and winner of a CWA Dagger Award, Russell is one of the leading voices in Scottish crime fiction. But, first and foremost, he’s just a bloody good writer. Here he talks to BFS about genre, the personality of a city and how crucial it is to exercise the writing muscle. BFS: You’re a prolific novelist, with two established series of crime novels and a third, non-crime one taking shape. Can you tell us a little bit about what drew you to the crime genre in the first instance? 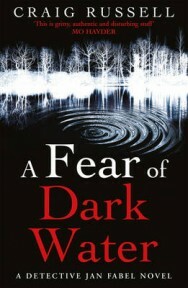 CR: I always rather pompously describe myself as ‘a writer who happens to write about crime, rather than a crime writer’. I wanted to be a writer for as long as I can remember and, for me, the most important thing was to write, what genre I wrote in was a secondary consideration. In fact, I personally believe writing good crime fiction, or fiction of any genre, is all about making characters live and breathe in a believable way, creating a powerful sense of place, time and context, establishing a texture, mood and tone—not sitting down consciously to write ‘crime fiction’. I think John Le Carré is a good example of that: first and foremost he rights about the human condition, about relationships and frailties and betrayals—and that’s what makes him the greatest writer ever of spy fiction. 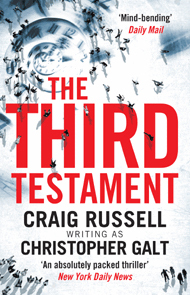 And not everything I write is crime: The Third Testament, for example, which I wrote under the pseudonym of Christopher Galt, is as far from crime as you’re likely to get. But, obviously, the bulk of my work to date has been crime fiction; the odd thing is that many of the themes, concepts and forms I pursue in my non-crime fiction are there in my crime fiction too. And that’s exactly why I find crime fiction so appealing: it is so flexible and accommodating that you can explore all kinds of styles, all kinds of ideas. Because of the structure of the crime novel—taking the reader on a journey of discovery and ultimate revelation—there are no limits to the environment you can build and the palette you paint with. BFS: A great deal of your work draws on other narrative traditions – including folklore and fairy tales– as well as historical references. How do you approach your research, and in which ways does it inform your fiction? CR: That’s a very good point—a lot of what I write discusses the nature and purpose of storytelling itself; how we’re conditioned by the folklore and mythologies around us—and not just ancient mythologies, but also the influence of the media on our lives. In the Fabel series, mythology, history and storytelling often provide the background to the stories. In fact, my protagonist Jan Fabel’s surname is a wordplay on that theme: Fabel is German not just for fable, but also both for ‘a tall story’ and for a ‘story plot’. 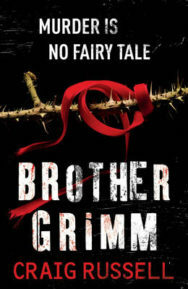 In Brother Grimm, for example, a serial killer is inspired by the ancient, quintessential European fairy tales gathered by the Grimm brothers—all of which were much, much darker than the cleaned up versions we tell our children today! 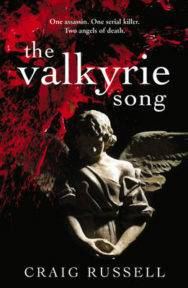 In The Ghosts of Altona, the latest Fabel novel, murders are taking place among a group of people united by their fascination for Gothic literature: Mary Shelley and Edgar Allan Poe loom large in the story as well as the legend of the Golem, which inspired Shelley to write ‘Frankenstein’. As you’ve pointed out, given the nature of the novels I write, there is lot of research involved. And the research certainly does inform the fiction because it is continuous—I research and write simultaneously and the two elements combine to shape the novel. I never can understand writers who hire researchers: for me it’s a huge part of the development process, ideas sparking from what you learn as you research. And it’s huge fun! BFS: Your narrative voices are very distinct, and each series has a very distinct voice from the other. How did you develop the texture of these voices, and what do you enjoy about returning to them? CR: Being a writer, for me at least, is a little like having multiple personality disorder. When I write, I become immersed in the world—the period, the location, the kind of social or political environment, and the characters themselves. Being a Scot intensifies the sense of at least a dual personality (it’s no coincidence that The Strange Case of Jekyll and Hyde was written by a Scot). Like most Scots, I have a strong sense of being a European; but, like the Irish and the Scots-Irish, we are aware of our connection with the New World, with the US and Canada. What I’ve done is divide these aspects: when I write a Fabel novel, I become a Northern German; when I write a Lennox novel, I become a Canadian. The interesting thing is that both Fabel and Lennox are something of outsiders in their chosen contexts of Hamburg and Glasgow. BFS: Your cityscapes seem almost inextricable from your narrative voices, with the Fabel novels set in Hamburg and the Lennox novels in Glasgow. What did you find compelling about these two cities? CR: Big, big, BIG personalities. There are cities (I won’t name them!) that you visit and leave with no real sense of the ‘vibe’ or the personality behind them, that leave you with a meh feeling. Then there are the Pragues, Barcelonas, Bostons, Hamburgs, New Yorks, Copenhagens and Glasgows—the cities that have huge personalities that often are right in your face. I’ve always said that the cities in my books aren’t locations, they’re main characters. One thing that I hadn’t thought of that someone pointed out to me is that I tend to set my novels in cities that are major seaports. I think that’s an important element: the sense of transition, people passing through, a sense of a window on a wider world. BFS: The Lennox novels are set in 1950s Glasgow, a place described in one of your book blurbs as ‘not somewhere you’d choose to be unless you were born to it’. How did you choose the setting, and were there specific challenges or limitations you faced when constructing crime investigations of a certain period? CR: Ah, yes… that phrase isn’t my doing. Publisher blurb. The reason I chose Glasgow is because, with Lennox, I wanted to write a classic noir inspired piece. There are certain qualities and elements classic noir demands: a tough, uncompromising urban landscape, lots of shadows and menace and, most of all, a dark, often bleak and always cynical humour. Glaswegians deliver that in bucketloads. The new Queen Elizabeth University Hospital superhospital hadn’t even opened when Glaswegians renamed it the Death Star. I rest my case. The 1950s is probably the most ‘noir’ decade, so it fitted to set the novels in that period. But more than that, it was a period of colossal upheaval for Britain—and for Glasgow more than anywhere. The British Empire was no longer crumbling, it was in a state of total collapse; that meant for Glasgow—the ‘Second City of the Empire’ that had built most of the ships and heavy engineering for an empire that had spanned the globe—that its entire reason for being was being challenged. The legacy of this is still felt today in Glasgow. Also, classic noir is a North American form. Glasgow has got to be the most ‘American’ city in Europe. A lot of the architecture in the city went up at the same time and had the same architectural influences Eastern seaboard cities in the US: Glasgow tenements and New York brownstones share the same architectural DNA. The language and turn of phrase is also similar. Glasgow just emerged as the most natural setting. 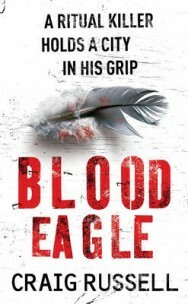 BFS: A big congratulations for winning Bloody Scotland’s 2015 Crime Novel of the Year. What’s next for you? Any upcoming projects you can let us in on? 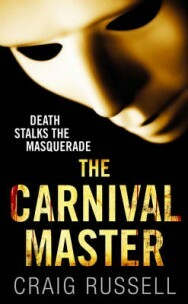 CR: The next Lennox novel, The Quiet Death of Thomas Quaid, is nearing completion and will be out next year. The latest Fabel movie in German won the ratings war and had the biggest audience for Saturday prime time, beating the German version of the X-Factor into second place—so there’ll be more Fabel movies in the pipeline. Biblical which was released as The Third Testament in the UK has been optioned for the screen by a Hollywood production company and Lennox has had its option with the BBC renewed—so lots might be happening there. Once I finish this Lennox novel, I have a standalone and a Fabel to write. So I’m going to be busy! BFS: Do you have any advice for aspiring crime writers? CR: Don’t think of yourselves as crime writers—think of yourselves as writers. And look outwards—use your writing as a means of understanding others, seeing the world through other eyes. It’s an essential part of developing credible characters. Read as much as you can, as widely as you can, but read outside the genre and try to find your own, distinctive voice. Whatever you do, don’t try to write like someone else. And most of all write. It doesn’t matter if you bin it—write every day. It’s how you work-out your writer’s muscles. 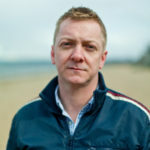 Craig Russell has worked as a police officer, freelance writer and creative director. His Fabel novels were inspired by his long-standing interest in the language, culture and people of Germany. 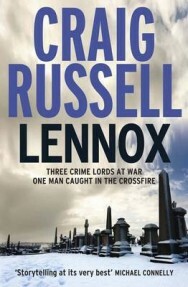 The Lennox novels, set in 1950s Glasgow, were inspired by Russell’s fascination for the period and love of the unique character of the city. His novels are translated into twenty-three languages worldwide. In 2007, Craig Russell was awarded the highly prestigious Polizeistern (Police Star) by the Polizei Hamburg, the only non-German ever to receive this award. He was nominated for the 2007 CWA Duncan Lawrie Golden Dagger, the world’s biggest literary award for crime writers, as well as the SNCF Prix Polar in France. 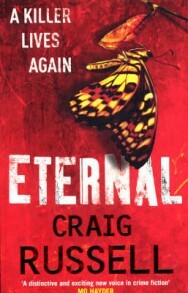 In 2008, Craig Russell won the CWA Dagger in the Library. In 2013, he was nominated for the CWA Ellis Peters Historical Dagger.